Ostomy, also recognized as stoma, is a surgically created opening in the body. The opening is made to collect waste products in the body, including urine, stool, excreta, and mucus, which can be collected either from the urinary bladder or from the intestine externally. Varying hospital data on the usage of ostomy drainage bags provides an opportunity for the manufacturers to identify and improve the quality practices, which could proliferate product usage in future. In 1996, the National Home and Hospice Survey of care reported that almost one-third of 2.4 million home care patients and one-fourth of 7.8 million discharged home care patients had post-ostomy complications, such as surgical urinary incontinence. Out of which, two-third of all the home care patients were female. Although these data are significant in the quest to define the problem, they still remain nebulous. Based on the type of condition and requirement of surgical intervention, an ostomy can be either permanent or temporary. Some of the ostomy products are ostomy drainage bags, closed bags and their accessories. Ostomy drainage bags are specialty bags that are mounted outside the patient's body to collect waste products, such as stool, mucus, and urine. Over the years, the trend of using ostomy drainage bags due to rise in prevalence of ulcerative colitis and inflammatory bowel disease among aging population, increase in prevalence of various diseases requiring usage of ostomy products, increase in demand for ostomy products in certain types of trauma cases and innovations and advancements are some of the key factors expected to drive the growth of the global ostomy drainage bags market. In addition, growing awareness regarding ostomy drainage bags in emerging countries is also expected to drive the growth of the global ostomy drainage bags market. However, varied complications associated with the ostomy products and reported cases of dehydration amongst patients after ostomy creation are some of the key factors projected to restrain the growth of the global ostomy drainage bags market. In addition, unfavorable reimbursement policies are also negatively expected to impact the growth of the global ostomy drainage bags market. 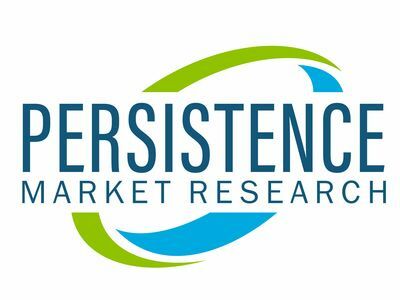 Macroeconomic indicators such as access to critical care facilities across developed and emerging markets is projected to propel demand of ostomy drainage bags market. On the grey side, over the years, one of the major restraints in ostomy drainage bags market has been occurrence of immediate dehydration after ostomy surgery. The complexities are reported both immediately and after the ostomy procedure (few weeks or months later). In a 60-day hospital readmission analysis involving 603 ileostomy patients, dehydration was the common reason for readmission, which comprised 43.1% of cases. As published in many reports, the extent of dehydration can vary from mild to renal failure, requiring dialysis. The report offers a comprehensive taxonomy of ostomy drainage bags market based on product type, modality, end user and region. Based on product type, the ostomy drainage bags market is segmented into colostomy, ileostomy and urostomy drainage bags. By product type, the colostomy drainage bags segmented accounted for 58.6% of the global ostomy drainage bags market in 2017. The ostomy drainage bags market based on modality can be classified into single and multi-use. Based on end users, the ostomy drainage bags market is segmented into hospitals, ambulatory surgical centers, clinics and home care settings. The ostomy drainage bags market has been analyzed across regions of North America, Latin America, Europe, Asia Pacific Excluding Japan (APEJ), Japan and MEA. North America is projected to be dominant regional market for ostomy drainage bags due to increasing number of IBD patients. APEJ and Latin America in global ostomy drainage bags market are expected to witness significant growth during the forecast period. China and India are expected to be the fast-growing markets for ostomy drainage bags. The report tracks some of the key companies operating in the global ostomy drainage bags market, including include Alcare Co., Ltd., B. Braun Melsungen AG, Coloplast Group, ConvaTec Group PLC, Hollister Incorporated, and Torbot Group, Inc., among others.